Marquee spaces that are illuminating. Top marquee lighting design from the UK specialists. For wedding events and other parties, creating the right atmosphere is a big part of getting it right. One of the key ways to do this is by using the right kind of lighting. Lighting a wedding party or dance floor with an overhead strip light is going to be a bit of a mood killer. So, when considering the internal design style of your marquee, as well as the lining, flooring and colour scheme, you need to think about lighting options. Ideally, you will need several types of lighting built into the marquee design for different purposes. For dining or conference areas you need to have some brighter lighting so that guests can see what they are doing. For dance floors and more intimate party spaces, you need mood lighting. You will also need powerful lighting for cleaning and emergency purposes. 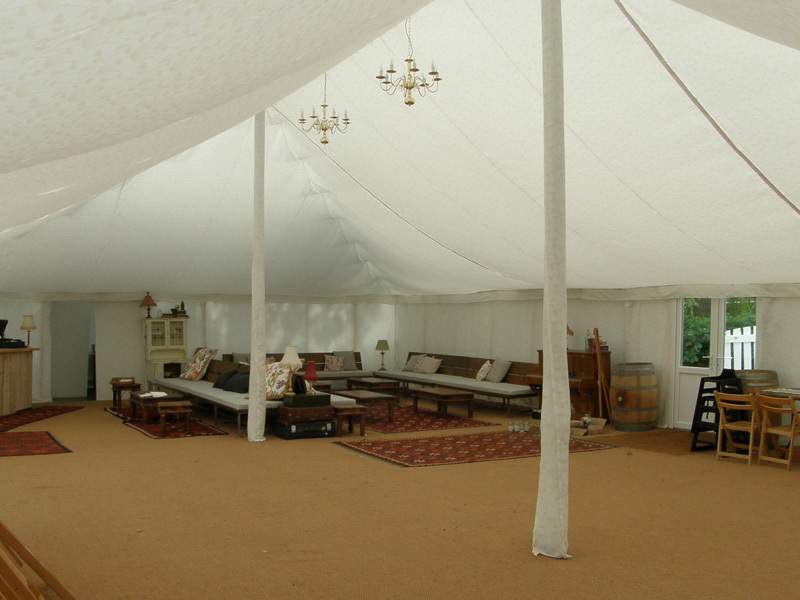 At Weatherill Brothers, we’ve been designing and making marquees for over six decades. We also custom build marquee linings with lighting integrated options. Just tell us what you’re going to use your space for and we can design lighting options to suit. Get in touch with our team to find out what we can do for you.